If you use an iPhone, now you can experience the organizing power of OneNote right there. Starting today, you can download Microsoft OneNote Mobile for iPhone from the iTunes App Store, and it's free for a limited time. 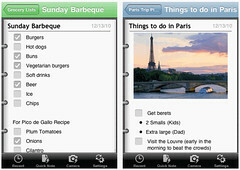 OneNote Mobile for the iPhone lets you capture and review notes and lists on your phone. Notes are automatically backed up and synced with free Windows Live SkyDrive online storage, so that you can access them from virtually anywhere - your PC, phone, and browser. Collecting thoughts and ideas on the go is what OneNote was made for. Read A first look at Microsoft OneNote on the iPhone to see how to install, start, use, and sync the new app.